A5Doc does all the work for you! 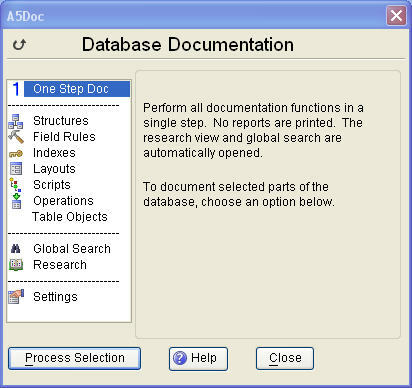 One click can capture everything about your database. In practice I generally document individual types of objects, but either way, you will spend more time analyzing your application and less time collecting documentation.